In partnership with Canonical, we are excited to announce today that SoftLayer is now an Ubuntu Certified Public Cloud Partner for Ubuntu guest images. 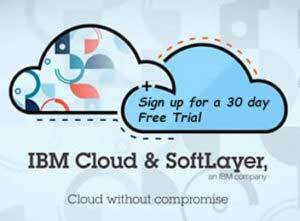 In a continued effort to enhance client experience, SoftLayer’s partnership with Canonical assures clients as they look to accelerate transformation on Ubuntu workloads with a consistent SoftLayer experience. Canonical continually maintains, tests, and updates certified Ubuntu images, making the latest versions available through Softlayer within minutes of their official release by Canonical. This means that you will always have the latest version of Certified Ubuntu images. Canonical is the company behind Ubuntu, the leading OS for container, cloud, scale-out and hyperscale computing. Sixty-five percent of large-scale OpenStack deployments are on Ubuntu, using both KVM and the pure-container LXD hypervisor for the world’s fastest private clouds. Canonical provides enterprise support and services for commercial users of Ubuntu. Canonical leads the development of Juju, the model-driven operations system, and MAAS (Metal-as-a-Service), which creates a physical server cloud and IPAM for amazing data center operational efficiency. Canonical is a privately held company.